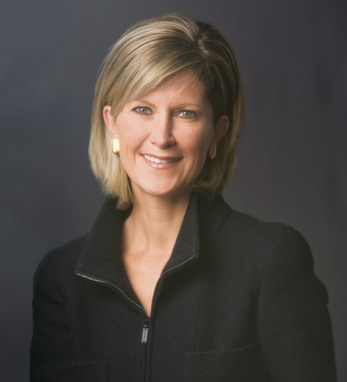 Mary Callahan Erdoes is Chief Executive Officer of JPMorgan Private Bank and Chairman of Global Wealth Management. As a member of the JPMorgan Chase Executive Committee, her responsibilities include working with the firm’s ultra high net worth clients. Since joining J.P. Morgan in 1996, Callahan Erdoes has served in a variety of roles including head of Investment Management and Alternative Solutions for the Private Bank and CEO of JPMorgan Private Bank. An Illinois native, Callahan Erdoes is fourth-generation Irish-American. Her great-grandparents emigrated from Counties Cork on her father’s side and Tipperary on her mother’s. She received her B.S. from Georgetown University and her M.B.A. from Harvard Business School. A member of the Young Presidents’ Organization, she serves on the Board of Directors of the U.S. Fund for UNICEF. Callahan Erdoes lives with her husband and three daughters in New York City.